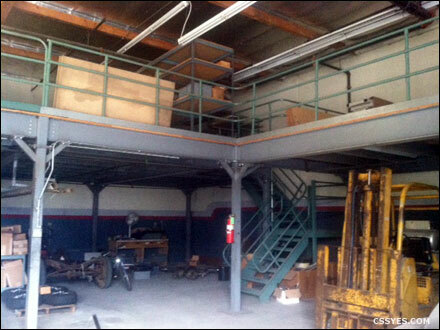 Pre-owned industrial mezzanines will turn empty overhead space into productive warehouse working area. 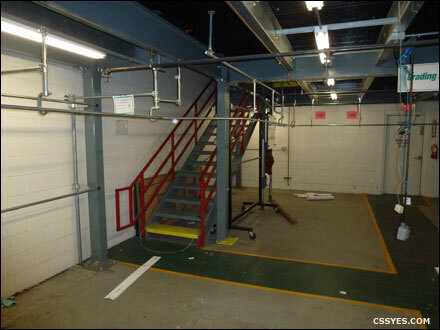 Pre-owned or used mezzanine, in good structural condition, can generally be relocated. 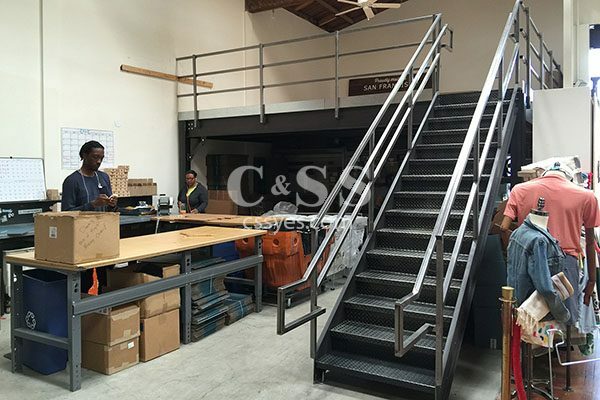 When you purchase a used mezzanine from C&SS, you also get the consulting service which includes warehouse measurements, technical drawings, and professional and insured labor. 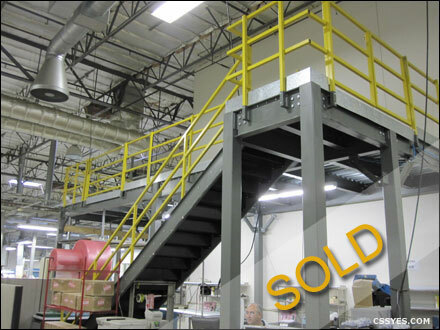 Reduce building carbon footprint while increasing warehouse square footage with our used work platform mezzanine. 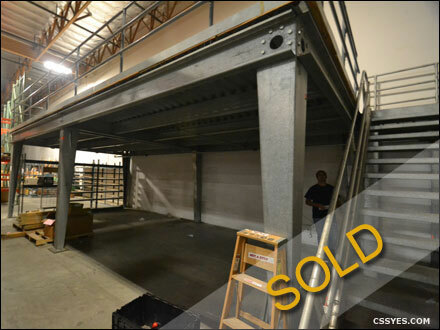 Consider adding more square footage in your warehouse with our pre-owned mezzanine floor. We deliver, install and permit projects in California. 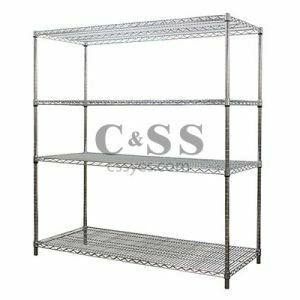 This is a roll formed steel mezzanine. We have a successful track history helping companies with work platform mezzanine projects in Riverside, San Bernardino, Fontana, Ontario and Rancho Cucamonga. Open space under the mezzanine floor. 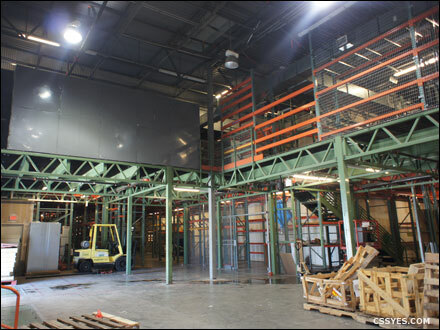 Choose between 5 different layouts to increase square footage in your facility when using our pre-owned structural mezzanine. 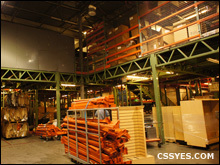 Improve safety and protect inventory more efficiently with our steel mezzanine. 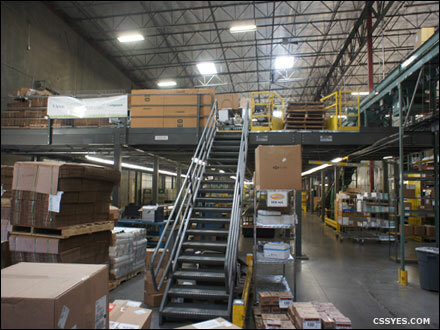 Used mezzanine can help companies avoid warehouse relocation in order to increase square footage. 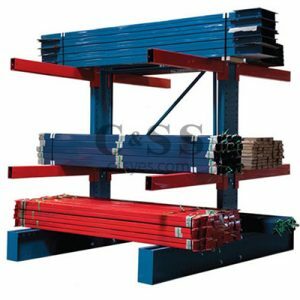 Custom work platforms are manufactured by Industrial Structures/Western Pacific Storage Solutions. 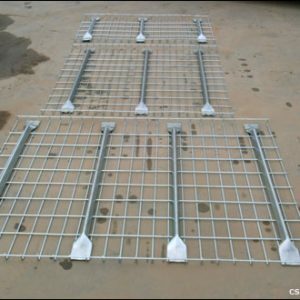 Contact Sales for additional information, pictures, prices, lead times, and a request for quote (RFQ). Conveyor & Storage Solutions also provides industrial mezzanine installation and building permit services. C&SS is servicing all California with sales offices in San Diego, Santa Ana, Riverside County and the San Francisco bay area. 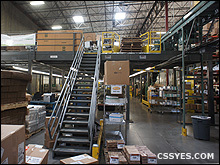 Call Conveyor and Storage Solutions at (877) 227-7235.